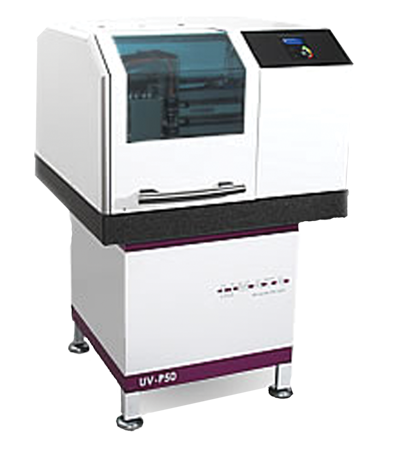 The machine is specially designed for cutting PCB up to 3 mm, and can also be used for cutting metal up to 1 mm and aluminium up to 2 mm. A manual lever brings down the blade via a double eccentric. At the same time, it fixes the adjustable depressing bar. The blades of hardened steel are manufactured in a way that minimizes ridges and gives totally clean PCB cutting edges. The front and rectangular stop is equipped with a scale. The lateral parallel stop with scale is mounted on a bar and is easily and precisely adjustable.